She's a beauty. 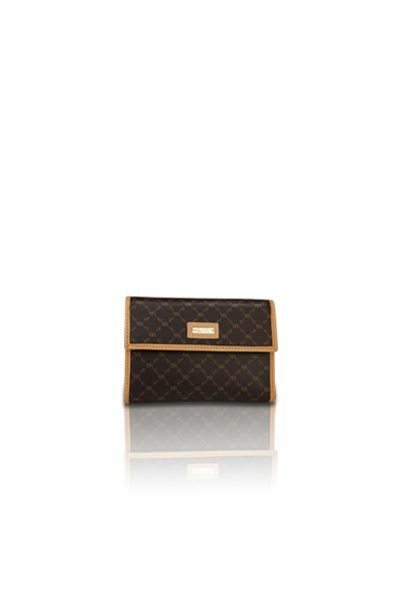 Gentle dark gold ''RR'' RIONI monogram print on solid brown designer canvas body accented with leather handle and trim. Embossed gold RIONI Moda Italia emblem. Flap opening with the aid of a magnetic clasp. Rear zipper pocket for quick access to your smaller belongings. 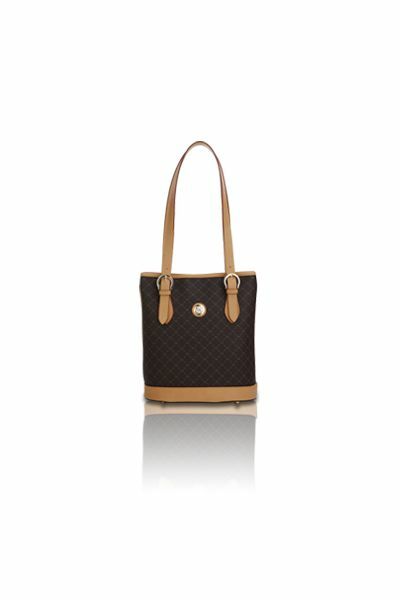 Center zipper entrance opening with coffee brown fabric RIONI monogram print lining. Opens to three compartments which contain a pouch pocket and also a zipper pocket.